Education in Thailand is provided mainly by the Thai government through the Ministry of Education from pre-school to senior high school. A free basic education of 12 years is guaranteed by the constitution, and a minimum of 9 years’ school attendance is mandatory. Unfortunately Thailand does not score highly on the worldwide educational achievement tables. The debate about educating its children goes on and on in Thailand. The problem is not about the money spent on the education sector, as the government allocates about 20% of its annual budget towards education – the largest portion of any item in the annual budget. 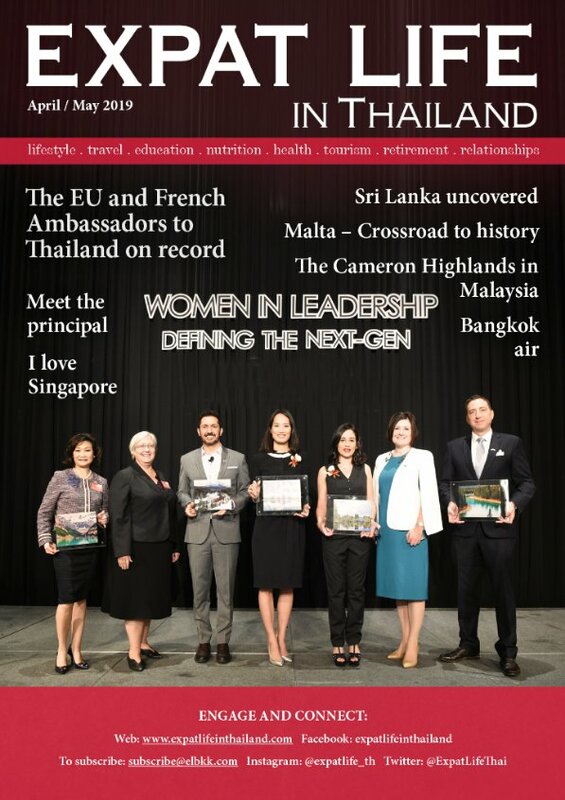 One of the main problems is that the road to education reforms in Thailand has long been a rough one, not helped by the fact that the country has had no fewer than 21 different education ministers over the past 18 years, and that the huge spending has not translated into improved learning. Educating Thailand – the long and winding road The students of Thailand still score below global averages, including those of their neighbouring countries, and are lagging behind in key subjects such as maths, science, and English. In the latest Programme for International Student Assessment (PISA) score results in 2016, Thailand is ranked 55th out of 72 countries in the overall results. For maths and science, Thailand is ranked 54th, and it is 57th for English language skills. 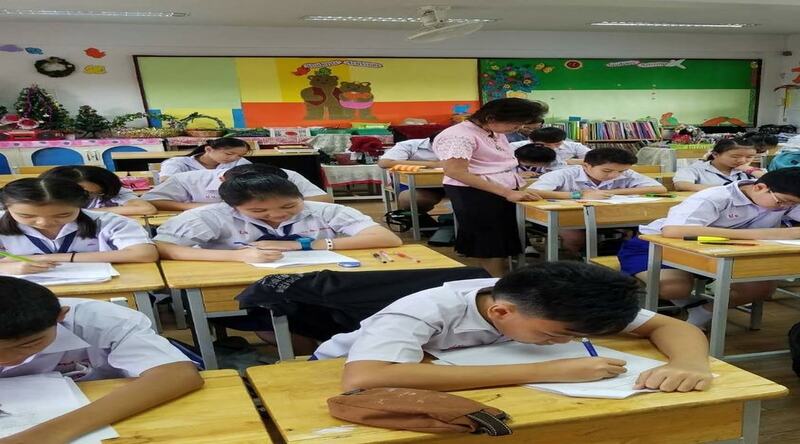 The students of Thailand still score below global averages, including those of their neighbouring countries, and are lagging behind in key subjects such as maths, science, and English. as many of them go on to study in Oxbridge universities in the UK, or Ivy League institutions in the US, and do well there. But this fact does not help the average student, nor does it lead to an improvement in the national PISA scores. However, there is a further option in Thailand, which is known as Ekachon schools (private education), and these independent schools contribute significantly to the general education infrastructure. These institutions bridge the gap between state education and the expensive international schools (most of which come from the UK or the US). I first became aware of Ekachon schools when my daughter, as a young schoolgirl, expressed an interest to learn the piano, and went to have private tuition every Saturday morning at Piyajit Vithaya School on Phatanakarn Road, Bangkok. It was opened in 1993 as a kindergarten school, and was then further developed by a group of Thai investors who wanted to do something to help improve educational standards, in 1996. The school now comprises about 650 students, and about 40 experienced and well-qualified teaching staff. The students study from Kindergarten Grade 1, all the way up to Prathom 6 (age 12). This school, as are many other Ekachon schools, is not prohibitively expensive, but the standard of education there is high, and has resulted in Piyajit’s Prathom 6 students consistently scoring well above the national average in Thailand’s ‘O’ Net national examinations. Piyajit is presented with Gold Medals every year for its achievements, and is one of the top private schools in Bangkok, although the annual fees at this and other Ekachon schools are far removed from those charged by the international schools. There is a good English programme at Piyajit, and one of the investors, Khun Sompong Assaratkul also teaches mathematics. Khun Sompong is an ex-advisor to the executives in charge of the BTS (skytrain) infrastructure project, and he is passionate about passing on his love of mathematics to his students, as he believes that if this core skill is developed well within them, then the educational development of a students’ other skills will naturally flourish because of it. 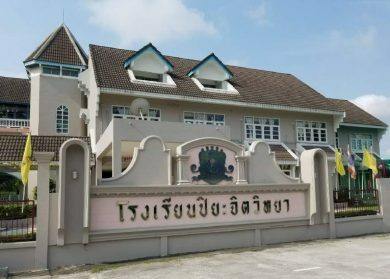 The students at Piyajit and other Ekachon schools that go on to study at some of Bangkok’s best high schools, and then universities, seems to warrant further investigation by the government into how the teaching at these schools is so successful for the educational development of their students. In the world of the new millennium English language skills are ever more important. It is the world’s international language of choice, and M L Pariyada Diskul, Secretary to the Ministry of Education knows this well. 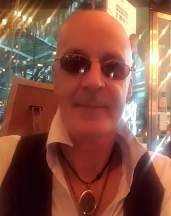 She wants to reach out to those expats and native speakers who live in Thailand, and who have come to love the country. She is asking for help to establish a network of native English speakers all across Thailand to help Thai people develop their English conversational skills.